Contact us at (617) 935-2620 or through the email addresses in the contact section to book a session or for any additional information. Thank you for your interest in Soul On a Beat Entertainment. Vocalists, musicians, bands, voice-overs, audio-book and more. Professional quality recording, mixing and mastering in either our Chestnut Hill or Arlington Center locations. Click here or on the 'Artists' tab to check out some of the artists we've recorded, mixed and mastered here. Not only do we make you sound 100% official here in our facilities, we help spread the word both online and off. We also work with licensing companies, promoters and many other people in positions of interest for both established and up and coming Artists of all kinds. Web Design, Business Cards, Flyers, Posters, CD Covers, Logos, etc. We duplicate CDs, complete with a double-sided full-color insert/CD cover (professionally printed 14 pt. stock paper), slim-line cases and on-disc print. 100 CD minimum. 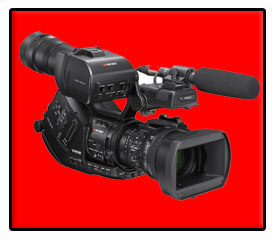 Commercials, films, documentaries and music-video services at project specific rates. Free basic consultations are included with most services. Business and marketing plan assistance is also available.